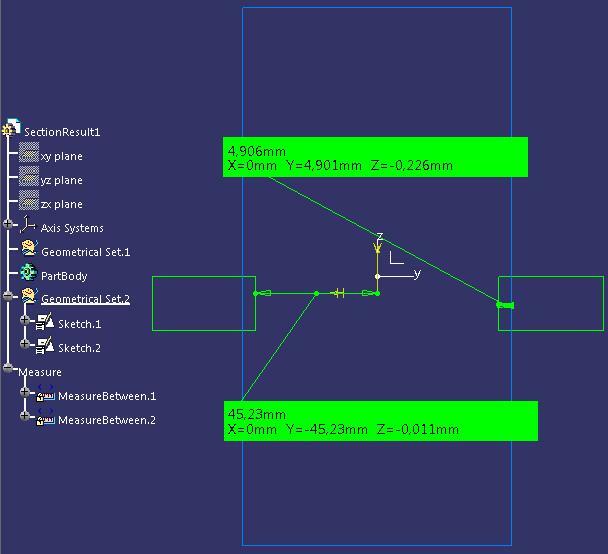 In this article I will show you how to use Sectioning command in CATIA V5, how to export as a new Part to use also in Drawing and more. This command is very useful when you work with large assemblies and you want only a part to make some measurements or to make screenshots for a presentation or something like that. 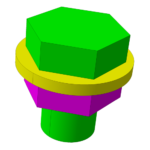 Sectioning command (Figure 1) it is available in Assembly Module of CATIA V5 and works for at least one part (with other words, if you want to make a section for one part, you can insert this part in a product to make some sections). 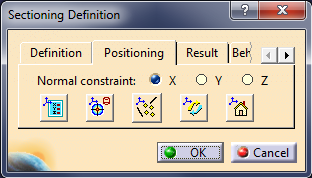 This command it is available in Space Analysis Toolbar. When you press the button a Secondary window starts to be available. This window help you to see only the elements from section, excluding all other features of the assembly. 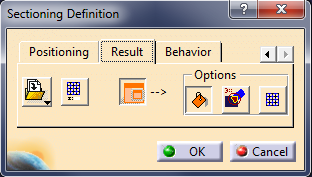 In the Figure 2 you can find the main window of this command, and 2 useful buttons, Section plane and Volume cut (for more explanations see the video from the button of this article). Result Tab have 6 buttons, all features of these will see in the below video. The most used feature here is the Clash Detection that finds for you all clashes from the assembly. 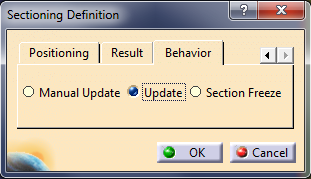 The last tab, Behavior, help us to freeze a Section, or to select if you want to change something in it, to be automated updated the section or to be updated manually. This option it is very useful when you work with large assemblies that can crash you CATIA app if you use the Automatic Update feature. To edit a finished Section, you should navigate to the Tree at Application parent and just double click on it. To help you to understand a little faster I made a video tutorial about how to use Sectioning command in to an assembly. My company have purchased a Catia v5 License (Only for assembly, part, drafting, sheet metal, weld design license). 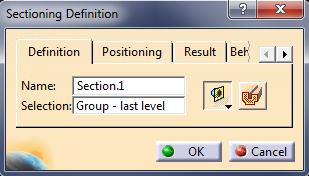 In that, when I select dynamic sectioning in assembly mode only 2 tabs will come i.e: positioning and result, other tabs that you have mentioned does not appear. The volume cut option is in result tab, but if I select it the sectioning will be in wire-frame mode, i.e: I cannot see the thickness of a plate (for example) but a hollow plate. Why is this happens? Please help, is it due to license issue? yes – it is a license issue. We have a new license package with 3D Master (FTX) and Animated Product Review (PRX) – here we have 4 Tabs, without These packages we only have 2 Tabs.